Everybody's talking about purpose, but behind the words must lie authenticity. 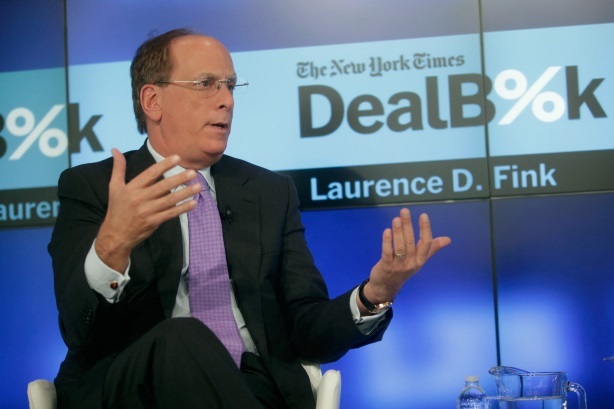 BlackRock CEO Larry Fink has exhorted companies to embrace purpose (Pic: Getty Images). It seems everybody’s got themselves a dose of purpose these days. From the ski slopes of Davos to Edelman’s Trust Barometer through PRWeek and Campaign’s Brand Film Festival onto PRWeek’s 20th Anniversary Awards and BlackRock CEO Larry Fink’s annual letters, purpose lies at the heart of discussions about business and its mission. And that’s clearly a good thing, much preferable to the alternative option. However, in the midst of this ubiquitous focus on social purpose and doing the right thing we must ensure it doesn’t end up in a process of purpose-washing or paying lip service to very serious and meaningful subjects. Authenticity and transparency must be at the heart of any organization’s purpose if it is to be credible. And the PR profession is in the box seat to provide the support brands and clients need to succeed in this respect. As Richard Edelman recently told me when I quizzed him on the topic: "For brands and companies that want to make change and do something significant and led by purpose, I don’t see that led by advertising creative. "The expression of purpose and serious company change might be an ad, but the idea comes from what we [PR people] do – a deep understanding of society and change on the brand side and with corporate reputation. It’s our moment." As Edelman notes, business is rightly nervous about the growing wave of populism in society that is leading to a questioning of the consensus around capitalism and a growing antipathy to wealth. He believes CEOs must either act and try and lead or put themselves in peril. On balance, he adds, "they’ve decided to do something." That’s why PRWeek has put purpose at the heart of our annual conference, which this year returns to Chicago on October 17 with a tagline of The Purpose Principles. At the event, we will dig deeply into the nuts and bolts of authentic purpose, establishing a credible mission based on social responsibility, and engage in no-holds-barred discussions about what works and how to avoid the perils of purpose-washing. We’ll hear from experts on the topic, speak to C-suite executives leading the drive toward purpose, and analyze case studies that represent best practice in the sector. You’ll network with your peers and discuss the common issues all PR pros face in this area. You’ll learn how to avoid the common pitfalls associated with purpose. You’ll discover the secrets of engaging your employees as the first line in establishing common purpose. And you’ll assimilate the value behind purpose and grasp the real business benefits attached to it that even the CFO will appreciate and understand. As Edelman says, advertising agencies aren’t thinking like this. It’s completely in PR’s wheelhouse. And groundbreaking PR executives such as Carol Cone and others have been leading on the topic for decades. It’s our moment. Let’s lean into it and embrace the opportunities. So save the date and I'll see you in Chicago on October 17 to dig deeply into The Purpose Principles.